□ Monthly Draft Payment: Under this option, a payment in the amount of $________________ must accompany the Membership Agreement. Member agrees to pay the then-current monthly Membership Fee, plus applicable taxes, each month thereafter through automatic withdrawals from an account maintained by Member in a financial institution, pursuant to a debit authorization form signed by Member. Any monthly payment received more than 10 days after the due date shall be subject to a late charge of 10% of the amount due or $20.00, whichever is greater. Term of Membership.  All M Room Memberships are either month-to-month or annual (when paid in full), and payments are due in advance. Automatic drafts will not be cancelled without thirty (30) days written notice, either by certified mail, hand-delivery to the management of M Room or by electronic means (i.e., email). No refunds will apply. Membership shall be in force for the term specified above and the validity of the Membership Agreement shall end without notice on the ending date specified In the Membership Agreement. After this, the Member shall be entitled to enter into a new Membership Agreement in accordance with the then current terms and pricing. Assignability. All Memberships are personal and can not be transferred. Use of Membership. Membership gives the Member the right to utilize M Room’s services applicable to an individual’s Membership Level in any M Room location. Membership Level (Silver, Gold, or Platinum) is defined as the type of Membership selected in Section 1 of this Agreement. Silver and Gold membership is country specific. Whereas, Platinum membership are in effect in all M Room shops all over the world. The Member can raise their level of membership to a higher level at any time. When doing so, the Member shall pay the surcharge for the raised membership level according to M Room’s valid price list at the time of the change in addition to any other service fees. Conditions of Service. The Member is aware and accepts that Members and other customers are served in the salons in the order of their Membership Level. Similarly the Member is aware and accepts that the queues in the salons vary by salon and, despite their membership level, any such service requested may be subject to a wait. In such instance, no separate compensation or refund shall be paid to the Member. 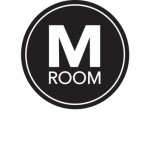 During the membership term, M Room may unilaterally change the range of its salons’ products or services or the opening hours of salons according to demand and resources. M Room reserves the right to enter the status of the salon as “full” when there is such a backlog of customers that no more customers can be served within the salon’s opening hours. When a salon’s status is “full” customers cannot move past other customers towards the head of the queue regardless of their membership level. Membership Card. For the term of membership, the member will be given an M Room membership card for their personal use. The membership card Is used for identifying the Member and is personal. The card cannot be transferred. The Member shall be obligated to store the membership card carefully and prevent its misuse. If the Member loses their membership card or suspects that it has been misused they shall notify M Room immediately. The Member will receive a new membership card in an M Room salon. Any new card issued will be subject to the applicable charges. Should Member violate any conditions of the membership card, the membership may be revoked with no refund, and criminal prosecution may be applicable. Communications. By signing this Agreement, Member accepts that M Room may send its members information about its services and offers to the postal address and/or e-mail address provided by Member. However, the Member can notify M Room in writing to opt out of such marketing communications. Personal Data. Member agrees to promptly update M Room of any change in Member’s contact information (including address, telephone number or email address) or change in credit information. Member accepts that an M Room salon or companies belonging to the same Group can register, record and process personal data concerning the Member (for example, contact Information and payment information) and the services offered by M Room that the Member has used. The purpose of collecting the above mentioned data is to administer and take care of membership in the best way possible and to inform the Member of the services currently offered by M Room. By signing this Agreement, the Member gives their consent for M Room to record the Member’s history of visits and purchases to ensure the quality of its services. The Member retains the right to see their history of visits. This can be accessed by using the M Room application which can be downloaded from each operating system’s own application store. Member’s data will not be disclosed to outsiders without the Member’s written consent, with the exception of disclosures that are based on the law. Postponement of Membership. A member who, for a specific reason, cannot make use of their membership during a certain time can apply for the postponement of their membership for the time in question with a written, free-form application. The postponement application shall be sent to the seller of the Membership. The membership freeze shall be valid from the date that M Room accepts the Member’s application. As a result of this, any membership commitment period shall automatically be extended with a period that corresponds to the duration of the freeze and that is accepted by M Room. The use of the membership card in M Room salons shall be prevented during the membership freeze time.Membership postponement shall be granted on the basis of an injury or illness that can be proven to prevent the Member from using M Room’s services for a period of a minimum of 60 days and a maximum of 180 days. Postponement of membership due to a lengthy stay abroad or studying or working in a locality where M Room has no business activities shall be granted for a minimum of 60 days and a maximum of 180 days. An application for freezing the membership shall be made beforehand or, in the case of injury or sudden illness, at the latest when the Member has an actual chance to do so, and it shall be confirmed with a certificate of the obstacle preventing the use of M Room’s services. If M Room approves the freezing of the membership, the Member shall pay a separate processing fee according to M Room’s currently valid price list. Cancellation of Membership. Membership can be cancelled anytime in 30 days notice. Right to Amend. M Room retains the full right to make amendments and changes to the terms of this Agreement. The active development and improvement of operations and operating procedures is an important part of the franchise business concept and therefore M Room reserves the right to make changes that will improve the success of the business concept on a general level. Member’s Violation of the Terms and Conditions. Memberships 30 days past due will be cancelled. Reinstatement requires payment of dues owed, reinstatement fee and payment of at least the first month of new membership. M Room Gym may suspend or terminate membership at any time, in it sole and absolute discretion, for non-payment of Membership Fees or for violation of any of M Room’s policies and procedures, and that in so doing, M Room assumes no further liability to adhere to the terms of this Agreement. Conduct. M Room is committed to the health, safety, welfare of each of its members and staff and will not tolerate unreasonable, threatening, obscene, harassing, indecent, or illegal behavior. M Room has the right to judge behavior and respond accordingly. This right includes, but is not limited to, termination of membership without refund of any member engaging in unacceptable behavior. Storing of Property. M Room shall not be responsible for any personal injuries theft or other losses of personal property brought into any such M Room salon by the Member unless imperative legal provisions decree otherwise. M Room shall not be responsible for a Member’s personal property that has been left at the salon. Lost and found articles not claimed after 30 days will be donated to charity or thrown away. Force Majeure. In no circumstances shall M Room be responsible for the Member’s access to the service being temporarily prevented or for other temporary restrictions that result from reasons outside M Room’s influence and reasons that M Room cannot reasonably anticipate or prevent. M Room shall not incur responsibility nor shall it be responsible for any hindrance or restriction to use the services described in this Agreement, resulting from reasons similar to the ones described below that prevent the service being performed entirely or hinder it considerably. Such a restriction is considered to include, among others, a decision by the authorities, new legislation or amendments to existing legislation, loss of staff, strike, lockout, blockade, fire, flood, water damage, bankruptcy, a significant loss of property, destruction or disaster. If the use of M Room’s services is prevented due to one of the above mentioned obstacles, M Room shall not be obligated to refund the membership fee or any other unused service or product paid for by the Member. Entire Agreement. This Agreement constitutes the entire agreement between the parties and supersedes any prior written or oral understandings, agreements, or conditions. No change, modification, amendment, or addition will be valid unless it is in writing and signed by representatives of both parties. The failure of either party to enforce, at any time, any of the provisions hereof, shall not be construed to be a waiver of the right of such party hereafter to enforce any such provisions, except as noted otherwise herein. Headings. The headings in this Agreement are inserted for convenience or reference only and are in no way intended to describe, interpret, define, or limit the scope, extent or intent of this Agreement or any provision of this Agreement. Binding Effect. This Agreement shall be binding upon, inure to the benefit of, and be enforceable by the parties hereto and their respective successors and assigns. Severability. If any portion of this agreement is deemed illegal, void or unenforceable, then the remaining agreement shall remain in effect. Further Assurances. The parties agree to execute such further documents as may be necessary, proper or convenient, for the purpose of fully effectuating the terms and conditions of this Agreement. Governing Law. This agreement shall be construed and enforced in accordance with the laws of the State of Florida, U.S.A, without regard to principles of conflict of laws. Any action, claim or proceeding under this Agreement shall be commenced exclusively in the courts of the State of Florida or in the United States District Court for the State of Florida, and the parties hereby irrevocably and unconditionally agree to the exclusive jurisdiction and venue of such courts. Counterparts. This Agreement may be executed in two or more counterparts, each of which will be deemed an original and all of which, when taken together, constitute one and the same document. Electronic delivery of an executed signature page will have the same binding effect as delivering an executed paper copy and will be considered a duplicate original.